Chris Impellitteri - One Of The Best - Welcome To All That Shreds Magazine! Chris Impellitteri is one of those few names of the metal shredding genre who have proven themselves as an eligible and worthy heir to the legacy of eternal metal legends such as Yngwie Malmsteen and Randy Rhoads. An honor and acclaim of this significance never come as complementary though. It should require immense talents, some exceptional command and penchant for non-conformity on a musician’s part to not just make a mark, but a breakthrough to demolish the status quo of the industry. In the particular realm of rock and metal music sphere, many musicians have emerged since the mighty era of the 1980s, as a promising addition to the genre. Equipped with speed, techniques and making waves with their unique style, several musicians of the modern era of metal are making an encouraging reassurance that the future of the genre is in safe hands. 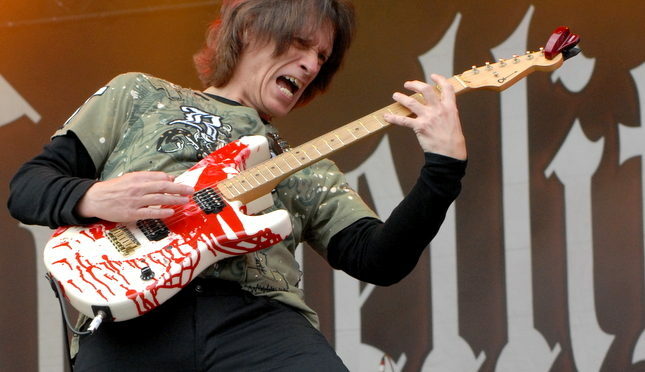 However, among all the shred metal maestros of the modern era, Chris Impellitteri’s name rests a par above the rest. It should cost an exceptional talent, and a massive dose of efforts to a metal musician to be called as the ‘Leading Light of Post-Malmsteen Shredvolution and Chris Impellitteri has proven his mettle and expertise to be rendered as worthy of the title. That is not all Chris Impellitteri possesses to his claim. The Leading Light of Post Malmsteen Shredvolution is also known as ‘The Master Shredder’ and as one of ‘The Fastest Guitarists in the World.’ All these titles and awards and that too at the age of 53 tell a lot about the strength, status and the credibility of a musician like Chris. Completely owning the genre that brought him this fame, Chris has not only contributed to the progress of the genre, he has also been imparting his acumen and expertise for the benefit of the current and coming generations of metal musicians. Chris’s playing technique is pure and highly refined. His tones are well-structured, finely articulated to the core and stands a class apart regarding the flow, speed, depth, nuances, and versatility. It is interesting to note that these unique attributes that have become his signature characteristics primarily stem from his self-taught learning approach. Chris Impellitteri was never satisfied by learning from the instructors and opted instead for his high road. Plunging headlong into the pursuit of his passion, Chris tried his hands on a variety of instruments, playing styles, techniques, and that too in a multitude of genres and sub-genres. It is a very meaningful and in depth analysis of Chris Impellitteri’s guitar performance.